Proposed rules would keep recipients from buying soda and junk food with SNAP dollars but sugar lobbyists are spending big to maintain the status quo. This article was produced by MapLight in partnership with Civil Eats. A recent study by the nonpartisan nonprofit group Voice of the People found that more than 70 percent of Americans favor banning the use of food stamps to buy soda and candy. However, both the sugar and soda industries are large campaign donors to the House agriculture committee, which approves the SNAP program’s operations. Sugar growers and cooperatives have contributed more than $1 million to campaign efforts for the 46 current members of the committee. Non-alcoholic beverage companies have contributed about $225,000. The findings come as the committee is considering a new farm bill, which will set the parameters for SNAP funding. The congressional panel considered the pros and cons of restricting food stamp purchases at a hearing earlier this year. “Our goal is to provide much-needed nutrition and to encourage Americans to eat healthier,” said Rep. K. Michael Conaway, a Texas Republican who leads the panel and is a proponent of the sugar restriction. The debate over a potential restriction of sugary food and drinks by SNAP recipients has emerged amid growing concerns over the nutritional health of Americans. Recent studies have found links between sugar and heart disease, and soft drinks have been linked to diabetes, strokes, and dementia. This is not the first time the issue has been raised; in 2011, the U.S. Department of Agriculture (USDA) rejected a request by New York City officials to test a two-year ban on the purchase of soda and other sugary drinks with SNAP dollars. 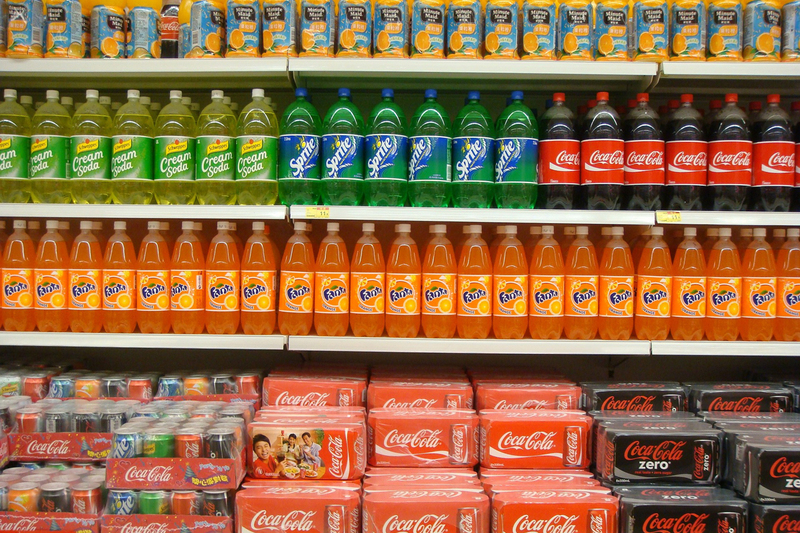 While the arguments for and against the restrictions vary, there’s no dispute that sugary food and drinks are big business, even among SNAP recipients. A November 2016 USDA report showed that roughly 20 cents of every food stamp dollar were spent on sweetened drinks, desserts, or salty snacks. Sweetened beverages were the second most-purchased item with SNAP benefits, accounting for slightly more than 9 percent of the bill. Prepared desserts made up 7 percent of purchases, and candy totaled 2 percent. Any restriction on food stamp purchases poses a potentially major problem for the sugar and soda industries, and they are lobbying Congress heavily in the hopes of shaping the final farm bill legislation. Efforts to restrict SNAP purchases have drawn the attention of soda manufacturers during previous farm bill debates. The American Beverage Association filed 10 different lobbying reports during the debate over the last farm bill. Industry political action committees (PACs) also contribute heavily to members of the House agriculture panel considering the issue. Sugar industry PACs have given $1 million to committee members since 2015; soda industry committees kicked in another $190,700. Coca-Cola Co. donated the largest amount from the soda industry, contributing $100,750. The biggest sugar industry donor to the House Agriculture Committee was American Crystal Sugar, which gave $451,900. The Moorhead, Minn.-based cooperative is the largest beet sugar producer in the United States. The industry’s largest individual donor has so far been Edwin C. Rice, chief executive of the Ozarks Coca-Cola/Dr Pepper Bottling Co. He gave $10,700 to Rep. Vicky Hartzler, R-Mo., whose district includes Rice’s business. The West Palm Beach, Fla.-based Fanjul family—which owns Florida Crystals and Domino Sugar—have been major donors as well. Jose F. Fanjul gave $8,870, making him the highest individual donor for the sugar industry, while the company itself contributed $500,000 to President Donald Trump’s inaugural committee. Fanjul and his brother Alfy hosted fundraisers for both Hillary Clinton and Trump. The recipients of the most donations were top committee lawmakers. Rep. Collin C. Peterson, a Minnesota Democrat and former committee chairman, received $61,000. Rep. Frank D. Lucas, an Oklahoma Republican and former panel leader, received $35,500. Conaway, the committee chairman, has gotten $66,000. This isn't just a debate about Big Sugar and eating healthy, many anti-hunger advocates also oppose these restrictions. SNAP recipients purchase as much soda and junk food as the general population, and quite frankly their benefit levels often aren't high enough to give them the purchasing power to eat better. Rather than banning foods, efforts should be focused on educating people on how to eat a better diet and on nutrition incentive programs such as the Fair Food Network's Double Up Food Bucks. It's easy for someone trying to make a sensation for self aggrandizing reasons to attack a company like Coca-Cola,or tax it . It takes no wit or courage to attack an entity that does't stoop to engaging in unfounded vitriol. It just doesn't benefit from squabbling with potential customers for its plethora of beverages including juices,milk,tea,water and so on. At the beginning and end of the product line, Coca-Cola stands tall! Cut the sugary drinks, they have nutritional value. Shame on all the funded congressional members, they don't work for the sugar industry, they work for their constituents! My quick thought solution to somewhat rectify this situation is to implement a soda/sugar tax for all therefore lessening the stigma on SNAP participants. The tax money could then be diverted to public health funds or subsidizing fruits and vegetables. The government should put public health above protecting corporate sponsorships with big sugar, big pharma, or big agriculture. I am the CEO of the Florida Sugar Cane League. We don't lobby on the SNAP issue. The food and beverage companies that make drinks, food and candy may lobby on that issue. The inclusion in the headline of "but Big Sugar is pushing back" is false unless you are including those associations as Big Sugar. Sugar farmers don't have a national check off program promoting sugar consumption either. We believe in moderation and common sense when taking about food consumption. The way to good health is a clean diet and regular exercise. That also applies to people who have need of the SNAP program. But they get to choose. Just like I get to choose. If they were to restrict all that that would hurt the soda industry and the makers of lots of people who make candy because most of all sales come from people who are on SNAP and they do not want to lose those customers. 47.6 million Americans are on SNAP and if they do this it's not the people who will suffer, it will be the soda and sugar industries who would hurt the most.